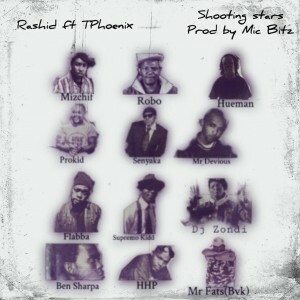 Spokes Drops New Single ‘Rappers Are Liars’ Ft. Zaddy Swag, PdotO, Blaklez. 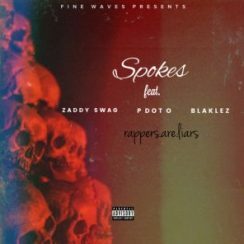 Spokes just dropped a new interesting joint titled Rapper Are Liars featuring the likes of Blaklez, Zaddy Swagg and PdotO. This new offering that has already caught the attention of many consists of verses, beats and sounds that are as intriguing as the title, the rappers joined in to deliver their versions elaborating on the reason they feel rappers are liars. Rappers Are Liars is available for download on all digital platforms. Blaklez shared a snippet of his verse on twitter which fans are responding to positively appreciating him for his skills. 2 weeks back he teased that he and PdotO are working on a new project, this might just be the first of many to come. Spokes followed suit in his style of delivering a perfectly crafted piece of art with his musical skills, Rapper Are Liars is just his intro to 2019 which means there’s more in store from the talented MC.